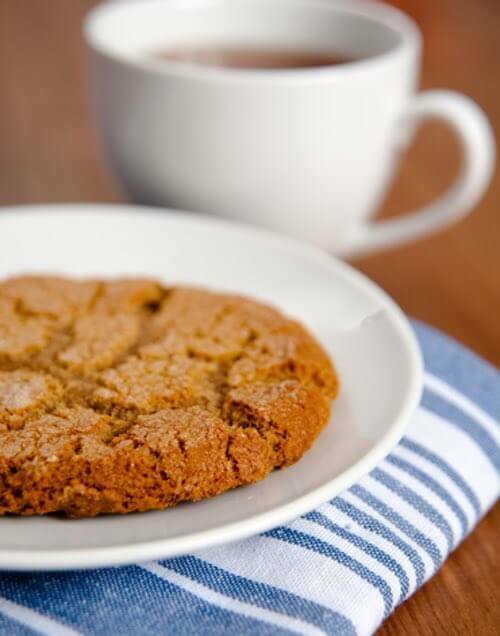 You'll find some great molasses cookie recipes here. 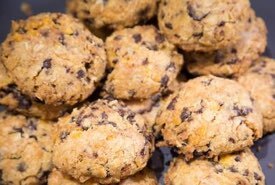 These are some of the best homemade cookie recipes from Grandma's collection, and they are all easy to make. Experience the authentic, old fashioned taste of sweet molasses cookies just like the ones Grandma used to make. Sometimes, instead of rolling the molasses cookie dough into traditional cookie shape, Mom would form the dough into little balls and coat them with sugar before baking. Try it. They're delicious! 1 cup molasses, 1/2 cup shortening (butter and lard mixed), 1 tablespoon ginger, 1 tablespoon soda, 2 tablespoons warm milk, 2 cups bread flour. You may also wish to add 1/2 teaspoon salt. Heat molasses to boiling point, add shortening, ginger, soda dissolved in warm milk, and flour. Proceed as for Ginger Snaps. 1 cup molasses, 1-3/4 teaspoons soda, 1 cup sour milk, 1/2 cup shortening melted, 2 teaspoons ginger, 1 teaspoon salt, flour. 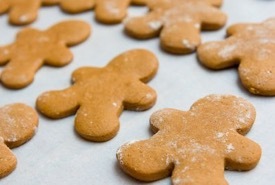 Add soda to molasses and beat thoroughly; add milk, shortening, ginger, salt, and flour. Enough flour must be used to make mixture of right consistency to drop easily from spoon. Let stand several hours in a cold place to thoroughly chill. Toss one-half mixture at a time on slightly floured board and roll lightly to one-fourth inch thickness. Shape with a round cutter, first dipped in flour. Bake on a buttered sheet. 1 cup molasses, 1/2 cup melted butter, 1 cup sugar, 2 teaspoons soda, 1 cup hot water, 1 egg, 2 teaspoons sugar, 1/2 teaspoon salt. Mix molasses, butter, and sugar. Add soda and beat thoroughly, then add water, egg well beaten, and flour mixed and sifted with ginger and salt. Drop by spoonfuls on a buttered sheet. Bake twelve to fifteen minutes in a hot oven.